Dubbed Jiffy Lube2 by researchers, the 63-kilogram mako is making waves amongst scientists studying sharks. The shark swam 17,700 kilometres using a route that researchers at Nova Southeastern University had never seen before: looping the Atlantic twice, venturing north far north to Nova Scotia south to the Bahamas. “This is the only shark that’s made this double southerly migration,” said Mahmood Shivji, director NSU’s Guy Harvey Research Institute, which has tracked a total of 130 sharks since 2008. 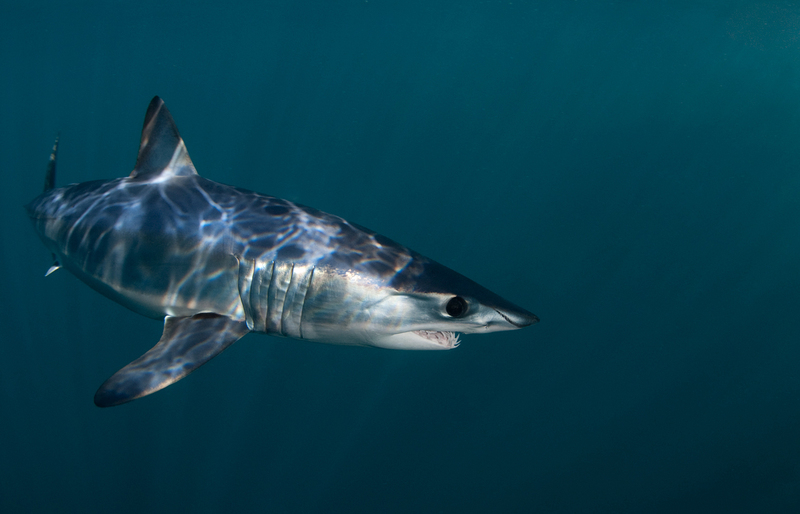 Utilizing satellite tags, researchers discovered makos tend to return to the Caribbean in the winter and the North Atlantic in summer — the same pattern as tiger sharks and great whites. Along the way, Jiffy Lube2 spent a few days along the surface of the Atlantic near Cape Cod, basking in the sun and gorging on passing fish. In the past month, she has spent most of her time between Washington, D.C. and New York City, where water temperatures range between 18C to 24C, comfortable for the fastest species of shark. Researchers don’t fully understand why sharks go so far north, but theorize they may be following prey, which includes bluefish, tuna, herring, swordfish and loggerhead turtles. If researchers can better understand migration patterns, they can lobby for tighter fishing restrictions in areas favoured by the predators. Currently, the centre is monitoring 19 makos in the Atlantic and 17 more in the Caribbean and Gulf of Mexico. Dozens of tiger sharks, oceanic whitetip sharks, sand tiger sharks, blue marlin and sailfish are also being monitored. To see all of the tagged sharks under the current study, go to ghritracking.org.